Our Italian-made Polo dining table features a pedestal base, and is made of a molded melamine top with an anodized aluminum frame. It also includes plastic feet to protect hardscape with one leveler for balancing. 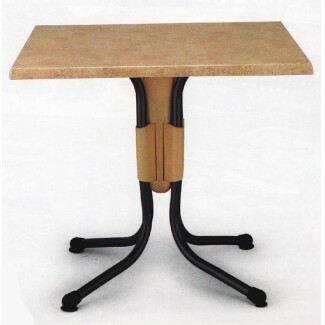 Available in a Catalan Beige table top with an Anthracite base.